Congratulations to all the pupils who took part in the Brundibar Opera. We won 'Production of the year' in the very first Cumbria Life Culture Awards , hosted by Sir Mellvyn Bragg at Theatre by the Lake. It was one of our joint projects working with Rosehill theatre , the London Mahogany Youth theatre and artists, as part of our Maryport extended schools. 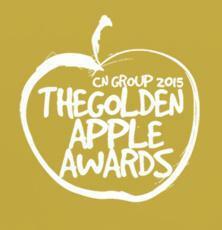 In addition, we were delighted to receive the Cumbrian News 'Golden Apple award' for Community Involvement. Richmond Hill is currently hosting the award on behalf of the consortium. We have been working closely with our Maryport partner schools to enrich pupil knowledge of World War 1 and have embarked on a projects involving poetry, story telling and factual investigation. In addition to this, pupils form Richmond Hill have worked with Mike Gregson and the Aspatria community to create a plaque to hang in the church at Ypres, Belgium, in rememberance of those from our community who gave their lives. As part of the curriculum our school has had the opportunity to link with a school with The British Columbia Canadian International School in Ciaro Egypt. Having this international link allows children to be aware of global issues within different countries as well as learning about their community and culture. Year 3 children have had the opportunity to participate in joint curriculum topics. Our latest one being 'What makes the Earth angry?' The children were able to share and exchange ideas along with video confrences.